As with anything, prevention and early detection are key to treating and preventing the spread of HIV. All of our sites provide HIV testing, education, counseling, and treatment. Whether you are newly diagnosed with HIV, require ongoing treatment, or want to keep up with getting tested, we can help. We provide confidential, rapid HIV testing, as well as education about prevention. In addition, HIV PrEP (Pre-Exposure Prophylaxis) and PEP (Post Exposure Prophylaxis) are available. PrEP is a highly effective one pill per day treatment approved to prevent HIV infection, and we can help connect you to financial assistance if necessary. If you are not a patient, we are able expedite your enrollment so you can obtain PreP through our providers! PEP is a short-term drug regimen that prevents transmission of HIV, and must be started within 72 hours of exposure. Please contact us if you are interested in more information or in treatment plans. Hepatitis C screening is available to anyone at risk, including those born between 1945 and 1965. If you are already living with Hep C, we can treat you at CHC. 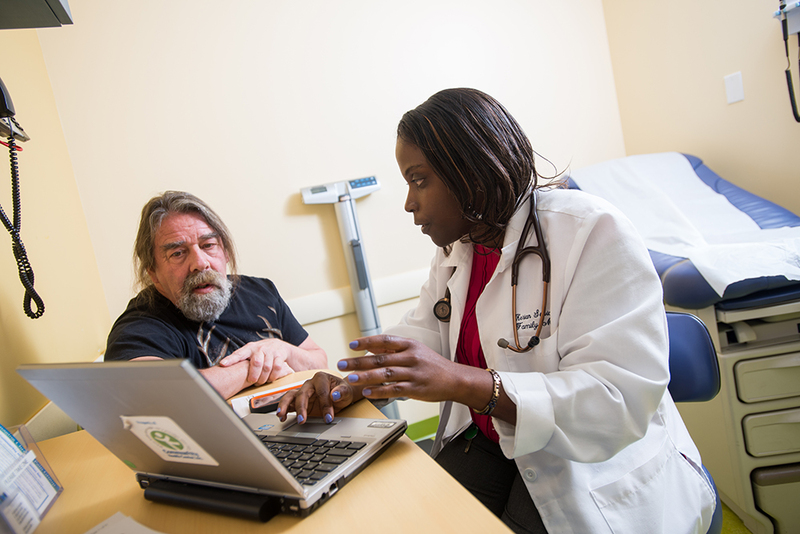 Our HIV/AIDS and Hepatitis C programs are managed by the Center for Key Populations (CKP), which focuses on populations who are living with, are affected by, or who are at-risk of developing these conditions. CKP works to break down the barriers that many of these populations face when they try to access health care, and to address the many co-morbidities that these populations experience. In addition to those with or at-risk of HIV/AIDS and Hep C, CKP focuses on the homeless; substance-using populations; Lesbian, Gay, and Bisexual populations; and the Transgender population. Our teams are trained to manage the overall primary care of those with HIV/AIDS and Hepatitus C.